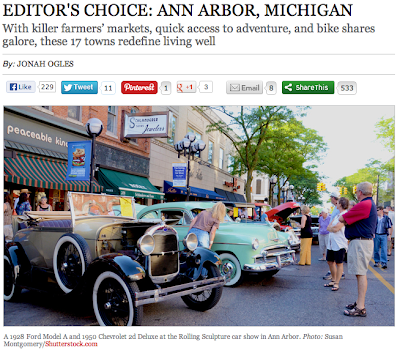 A friend just tipped me off that Ann Arbor was named editor's choice for Best Town Ever 2013 by Outside Magazine. 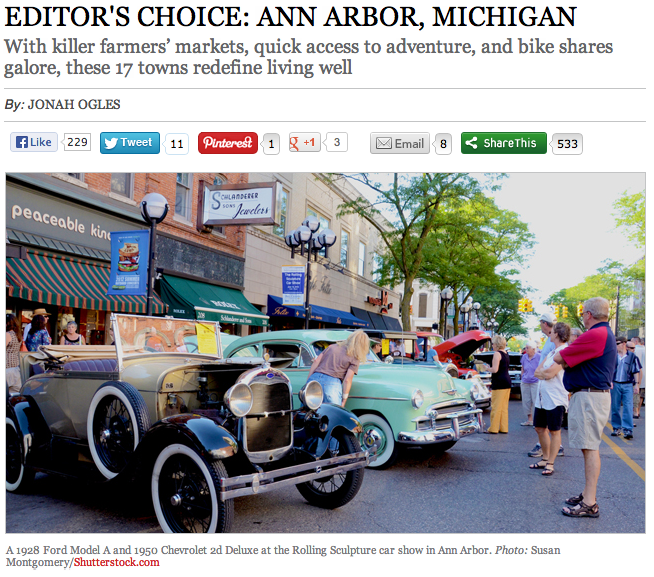 We received the honor because of our healthy lifestyles, great food, bike lanes and access to trails. The article specifically mentions the Border to Border trail and the Potowatomi Trail. Being included on the list of Best Towns Ever 2013 means we're one of the 17 towns in the country that are "redefining living well."